Silicone rubber is a family of synthetic compounds that looks and feels similar to organic rubber but has vastly different structures. The backbone of silicone rubber is not composed of carbon atoms, but silicon and oxygen atoms. This structure creates chains with extremely high flexural strength. The forces that hold the polymer chains together are not very strong, so the structure in the dynamic state is capable of maintaining minor deformations under high temperature ranges. Silicone rubber does not undergo molecular rearrangements or crystallization when stretched; hence, reinforcing agents must be added to strengthen the structure. 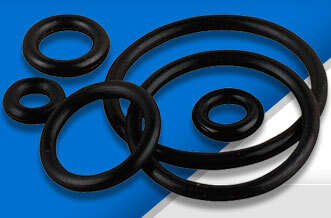 Silicone rubber is expensive, but capable of maintaining its form up to a temperature of 600oF. Meanwhile, silicone rubber is also able to maintain its flexibility and experiences little weakening of other physical properties under low temperatures of -150oF. The addition of plasticizing agents is therefore not required. Silicone has a weaker strength compared to other types of rubbers, but has much better fatigue resistance and flexural strength; hence, silicone rubber does not need additives to improve tensile resistance or tear resistance typically required for dynamic applications. 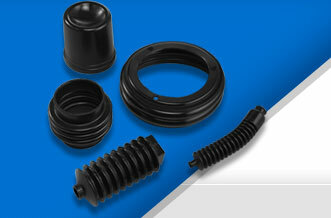 Silicone rubber also experiences less reduction in tensile strength at high temperatures compared to other rubbers. It also provides excellent resistance against other chemicals, oils, oxygen, and ozone. Silicone rubber is inert, and may be used for surgical equipment and food processing.